From Route 33W to 17N to wach nearby farm land. M husband and I were driving on the new Hwy. extension of 17N to Washington, NC. we saw our friend that does spraying of the soybean field working the nearby fields. We stopped so I could photograph this daring and accurate percision of this man's profession. 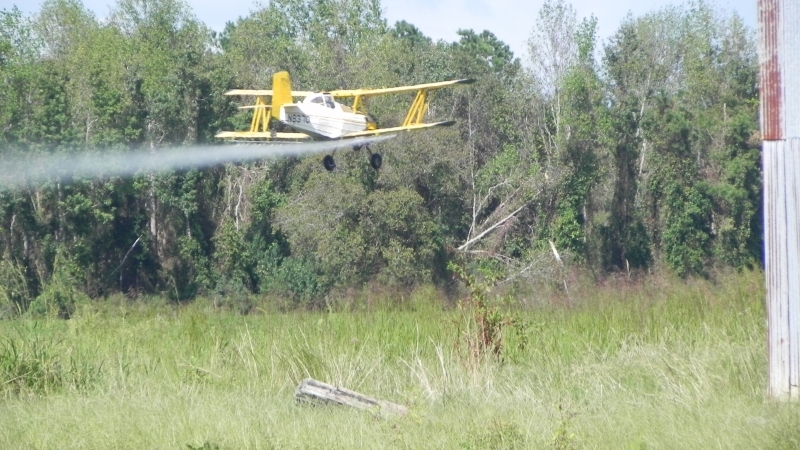 Yellow plane spraying soybean field.